One neat thing about living in my childhood summer home is finding the bits & pieces left over from way back when. 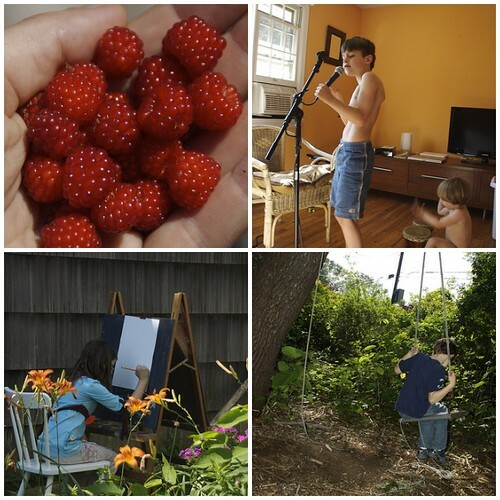 I thought I’d share a few: the raspberry bush I planted, bongo drums, an easel, and my swing. I’m glad to have these around for the kids (even if they do fight like mad over the swing … sigh). Gorgeous photos! I especially love the one of the little artist in front of the easel. Reminds me of my daughter . . .
i can’t imagine how amazing this must be. beautiful pictures, vero. i love the one of your daughter working at the easel.